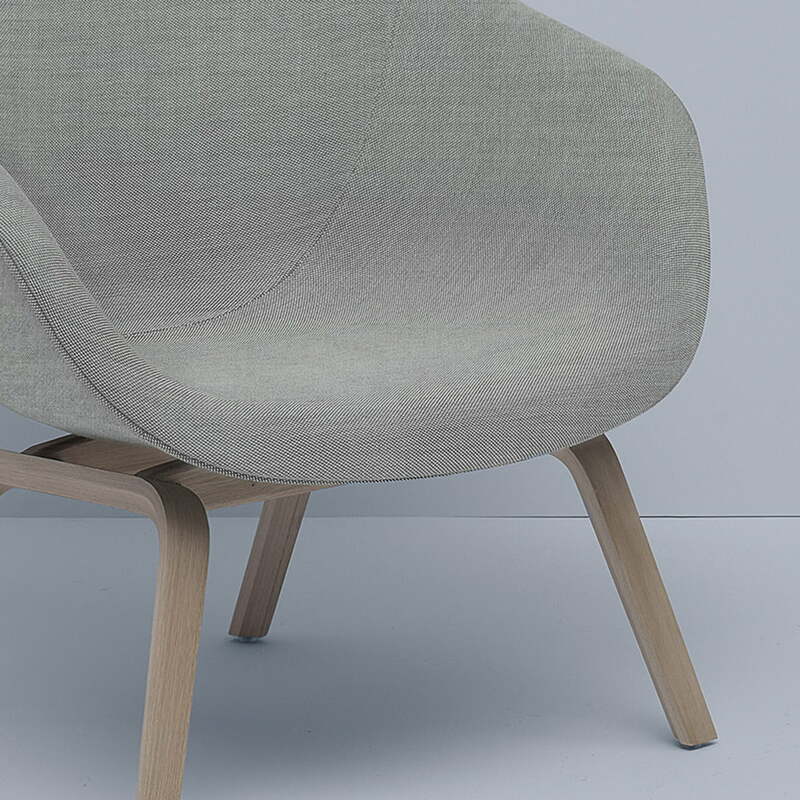 About a (Lounge) Chair by Hay is a collection of chairs with striking simplicity in its design. 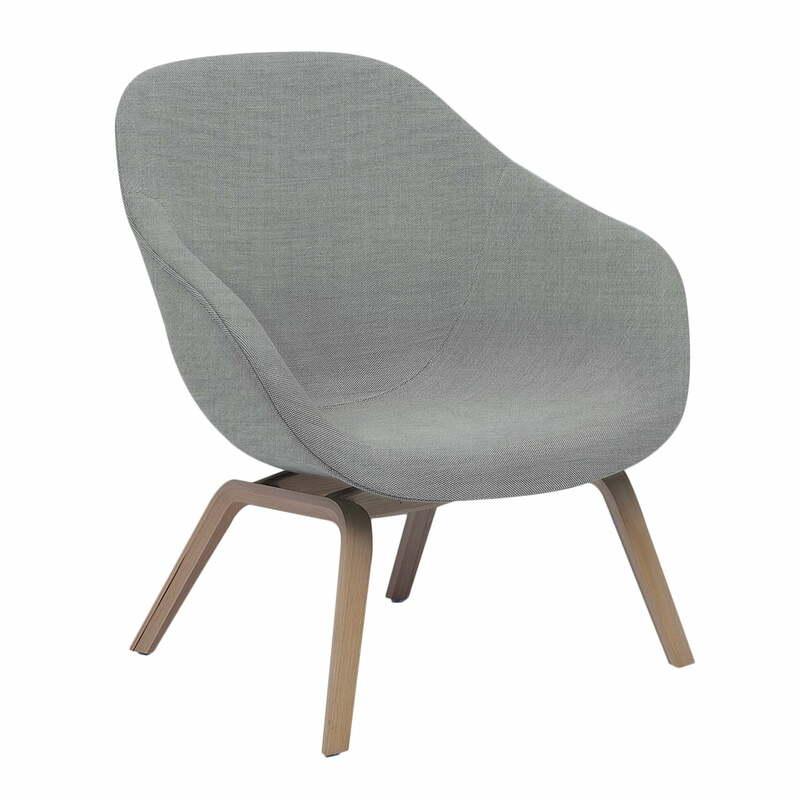 The AAL 83 extends the series with a low Lounge Chair, which is a classic modern piece of design with its wooden base and reduced silhouette. The About A Lounge Chair AAL83 is lightly padded with foam according to the Eco-Tex standard and has a low backrest, armrests and a modern four-leg frame made of wood. High-quality, minimal design for maximum comfort. The fabric can be chosen. There are different Kvadrat fabrics, which are available in numerous colours. The seat of the lounge chair by Hay consists of polyurethane and the beech frame is covered with soaped oak or stained ash veneer. 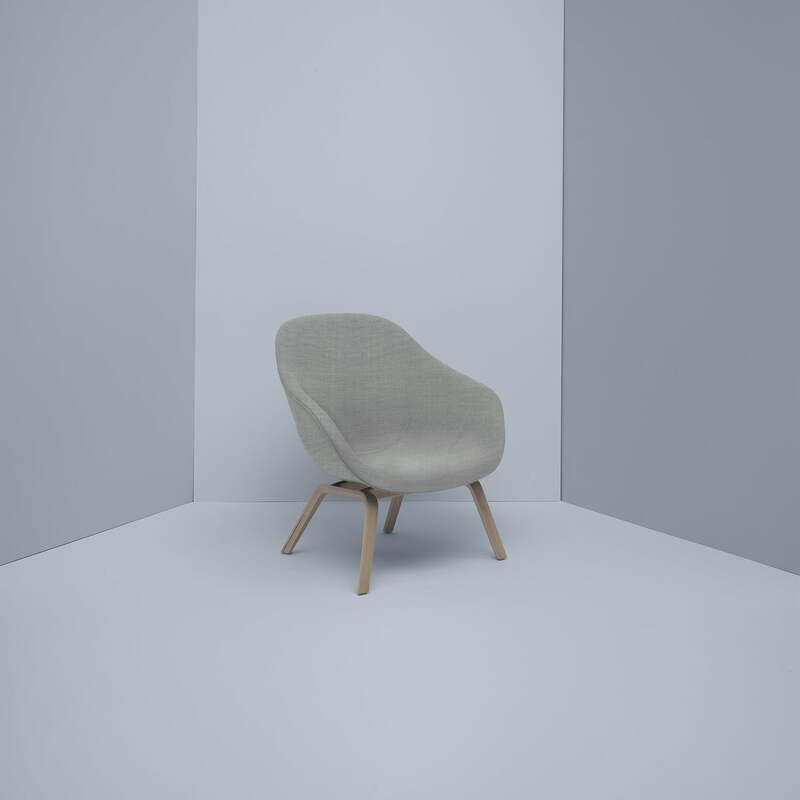 In addition, the About A Lounge Chairs by Hay are available with a four-leg frame like with theAAL82 or with a high backrest like the AAL93 : The seat shell and base of the AAL series result in numerous combination possibilities that are never look random or unintentional. For personal configurations, we will gladly advise you.